Learn how to quickly light a great looking presentation. Then, learn how you can be the presenter on-camera with great results. 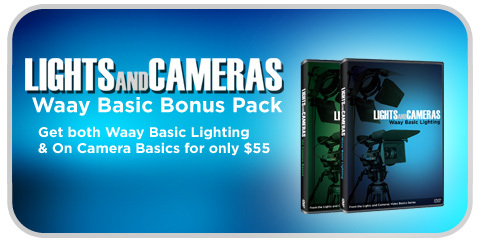 We've taken our most popular title and paired it with On Camera basics in a Bonus Pack that you can't pass up. Buy these two great video courses bundled together for only $35.00.